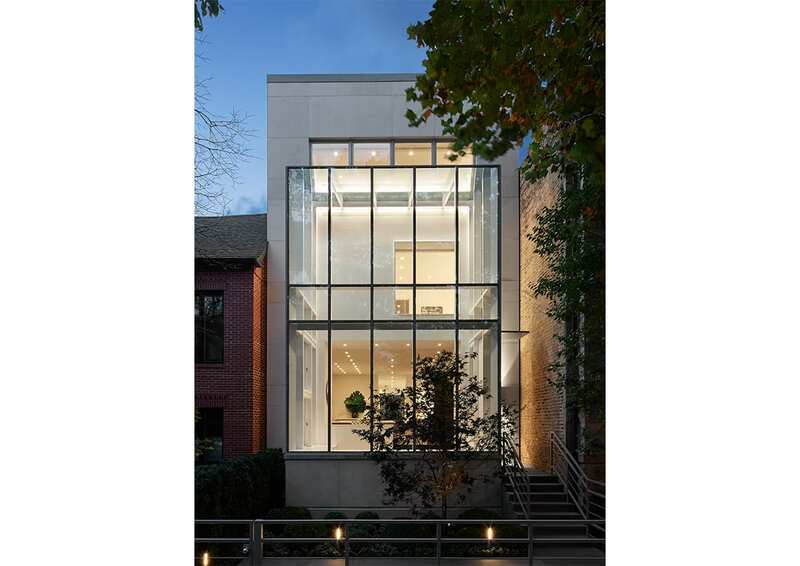 This 1978 modernist home in Chicago’s Lincoln Park was recently purchased by a family of three. 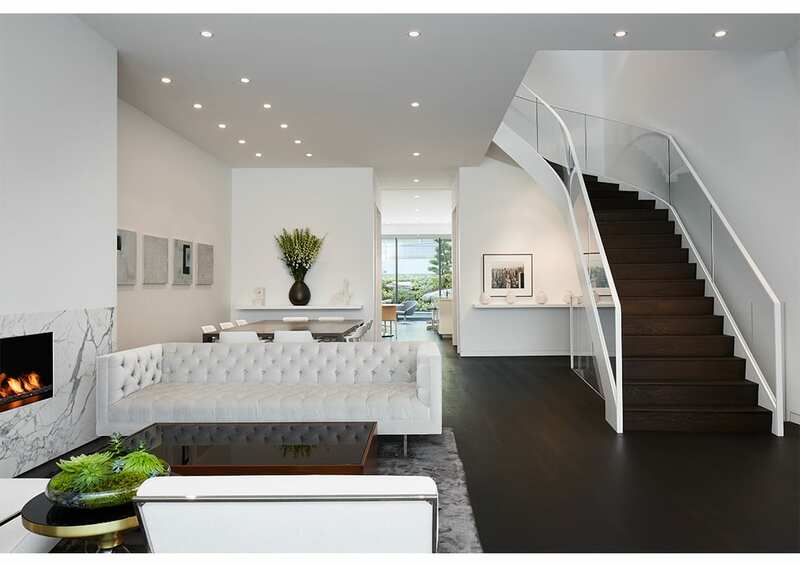 Originally custom designed for a larger family, the new owners sought out Booth Hansen to re-envision the home to suit their needs and lifestyle. 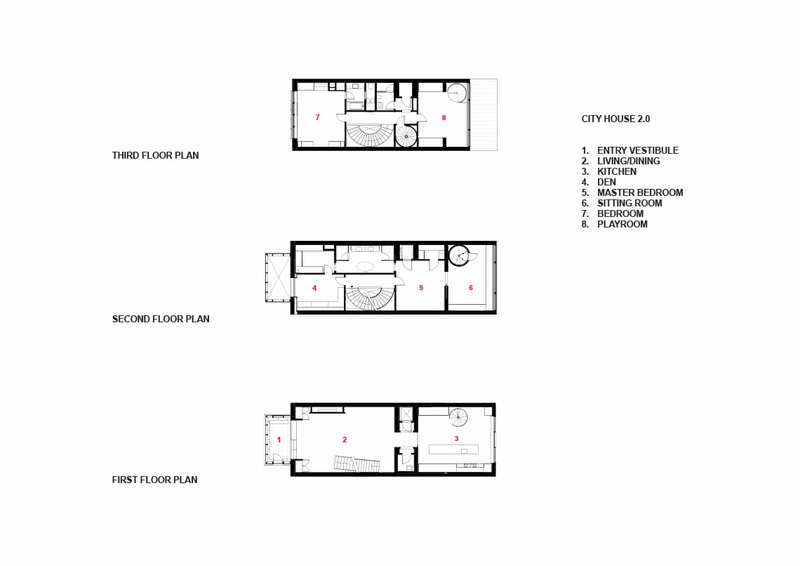 Above all, they desired a peaceful and light filled retreat from busy city life. 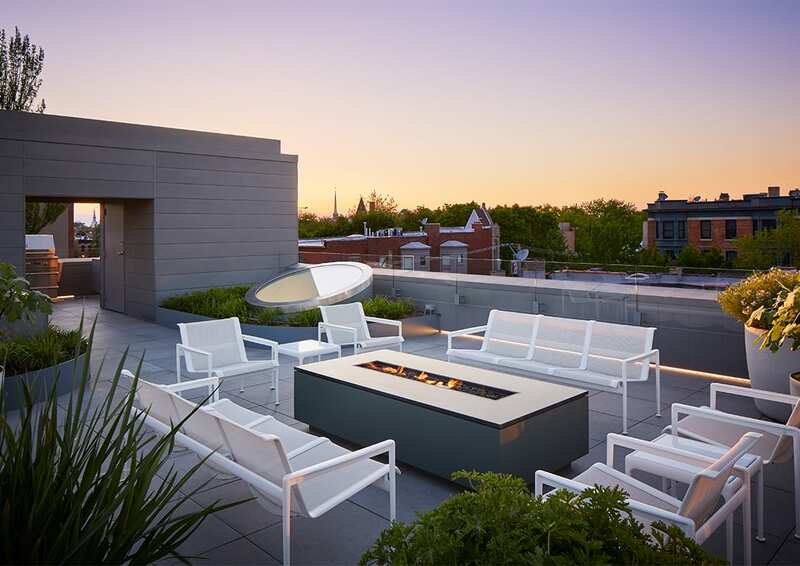 This goal resulted in a major renovation with additions to the façade and rear yard. 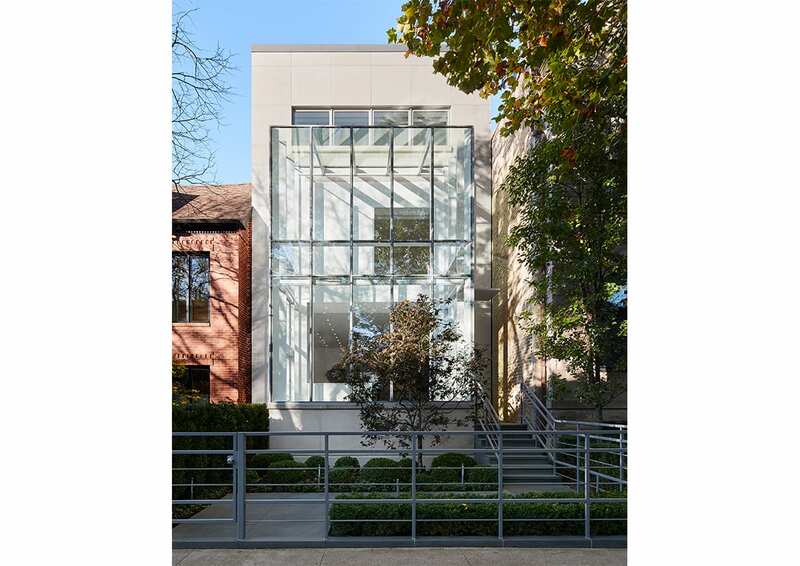 Sited in a Landmark District, the proportions and scale of this renovated residence align contextually with the surrounding structures, while exuding an airy quality typically not found in Chicago rowhomes. 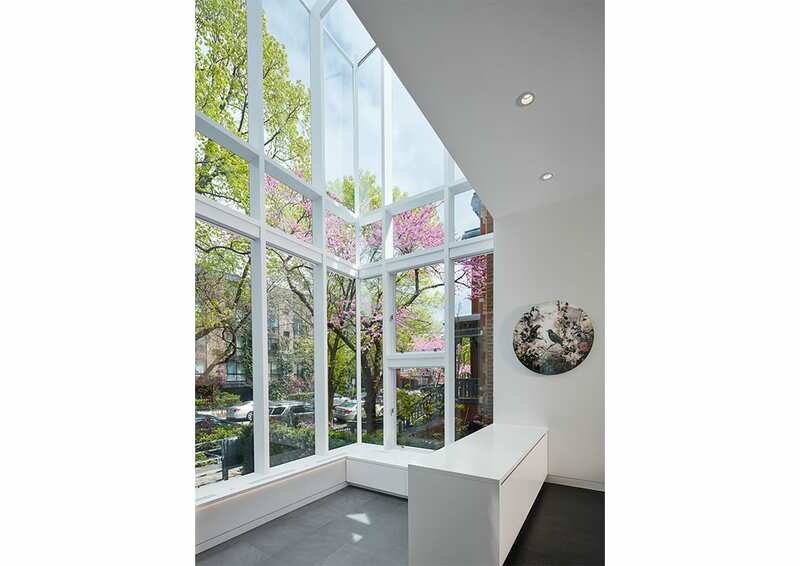 A new glass bay window on the home’s street facade maximizes natural light infiltration and opens views to landscaped scenes. 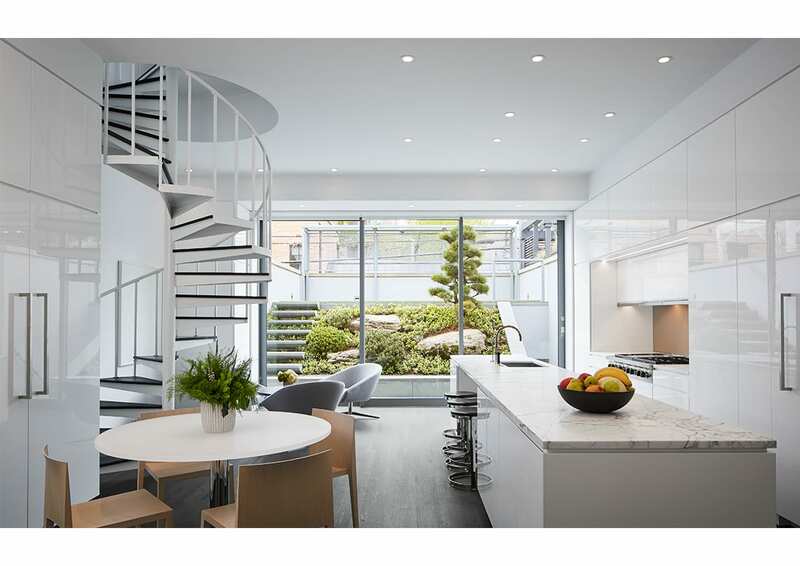 The rear of the home enjoys a connection to nature: the main living space opens to a gently sloping Japanese-inspired garden and terrace which conceals the garage beneath. 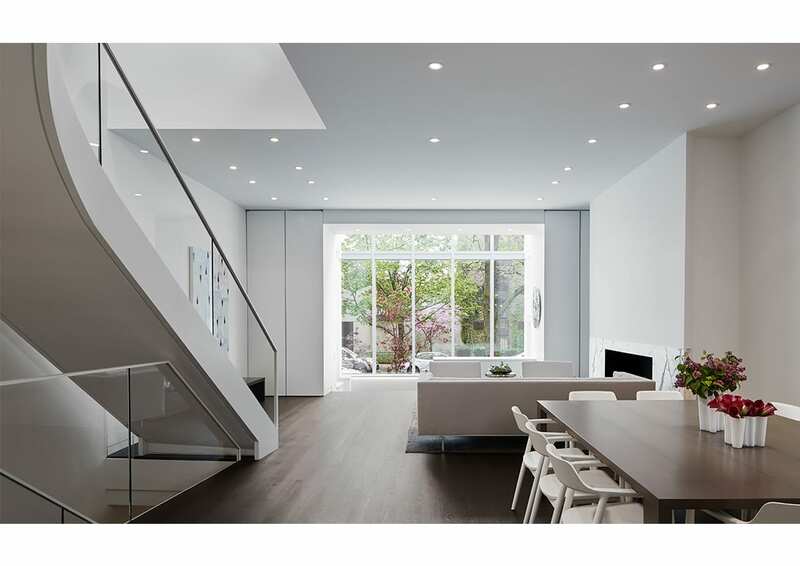 The minimalist interior was designed as a backdrop for the enhanced exterior. 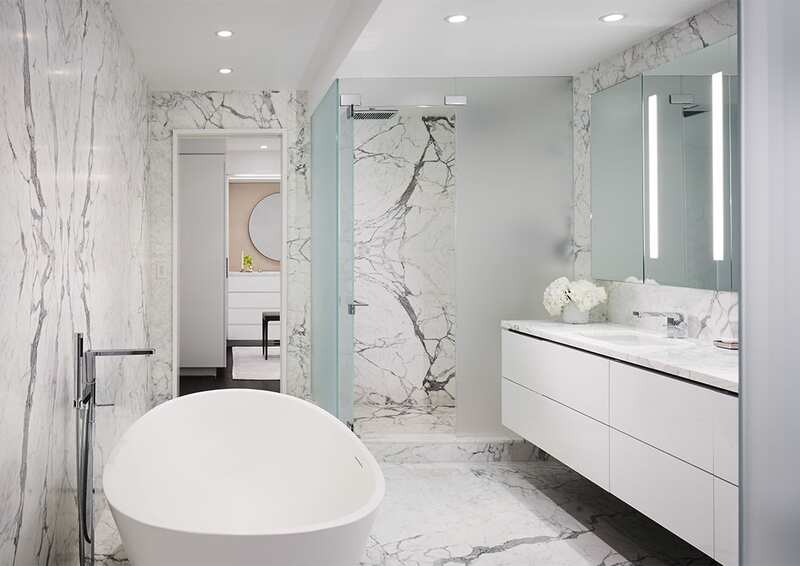 Clean lines and a limited color palette accentuate the judicious use of highly veined marble. 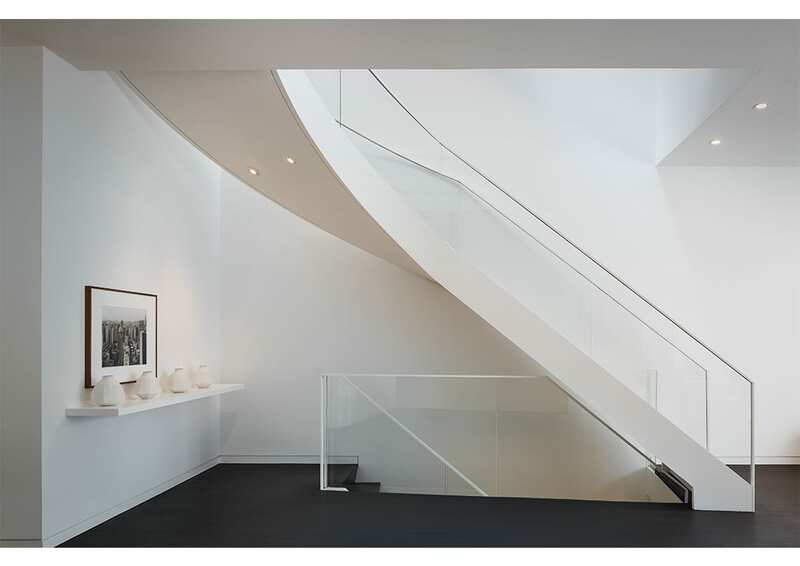 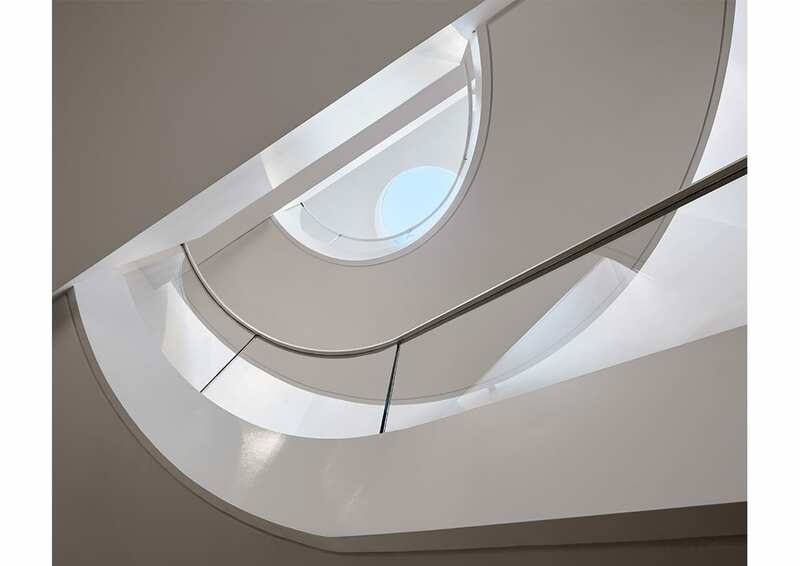 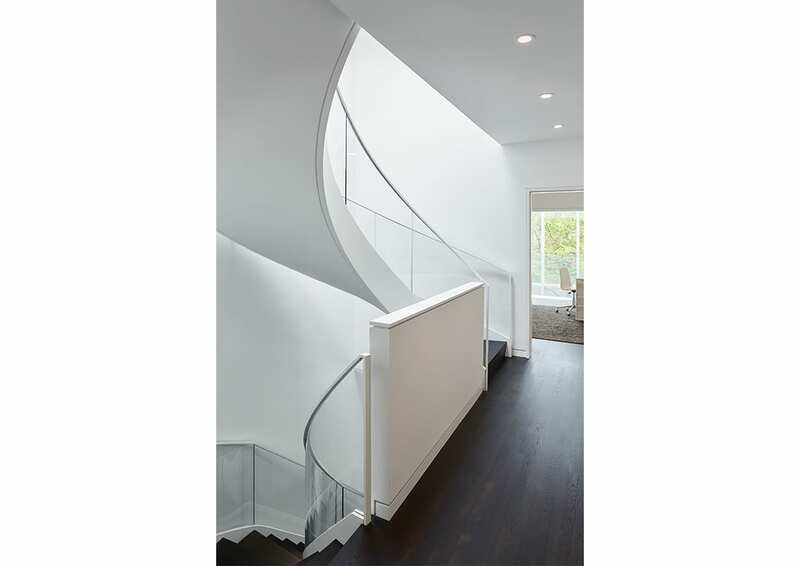 A sculptural stair with minimal glass railings floats from floor to floor allowing light to penetrate the interior spaces from an oculus above. 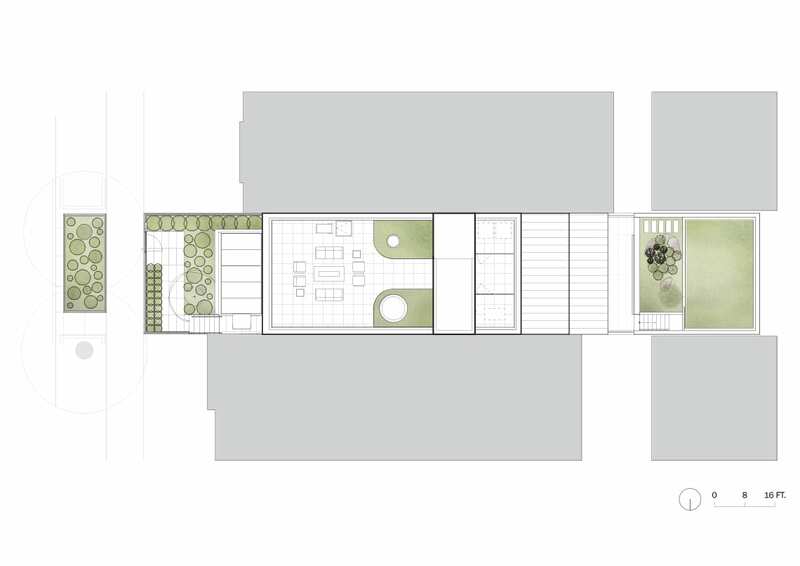 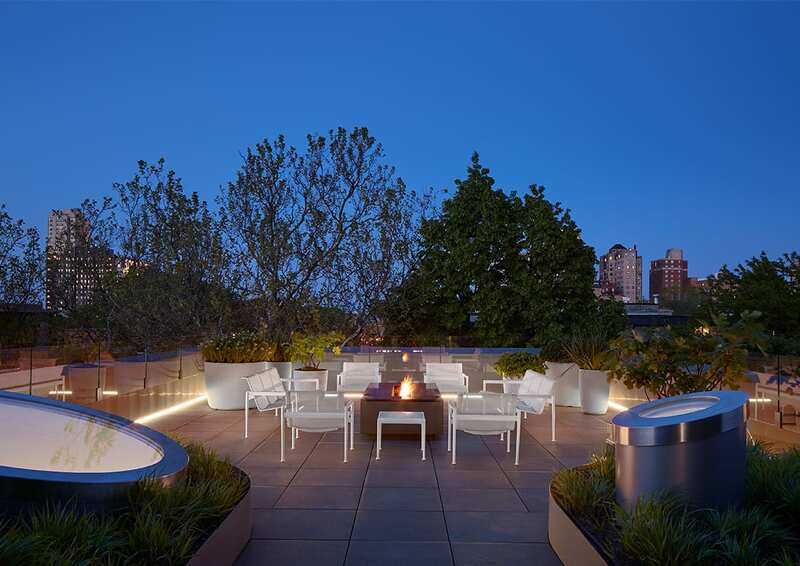 The conversion of the roof into an outdoor room provides a quiet space in the tree tops.